The beginning of the Golden age of radio took place when the country was in the throes of the Great Depression during the early 1930s. Sensing that radio was in a growth cycle Glenn Wallichs opened a small shop on Ivar Avenue, just south of Hollywood Boulevard, to sell and service radios for home and automobiles. he called his new store Wallich's Music City, and during the ensuing years, a range of merchandise was widely expanded, in 1940, extension dictated the need for larger quarters. 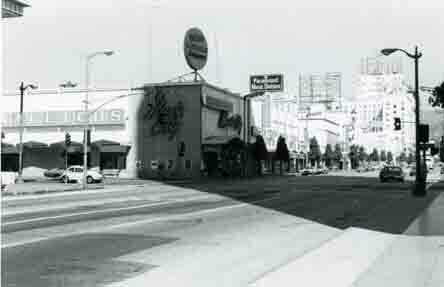 One of largest and most popular record stores in the country was located on the northwest corner of Sunset Blvd. and Vine St. Founded in 1940 by Glenn Wallich, it was, by far, the best record shop in Los Angeles. During the days of the 45 RPM and 33 1/3 RPM records, customers could go into the store, remove a record from one of the many shelves and go into a listening booths and listen to the record. If you didn’t want to buy the record, you simply put it back in the paper sleeve and placed it back on the shelf.